SJU Chapter of Sigma Iota Rho was established in March 2014. Our chapter is designated Epsilon Omega. 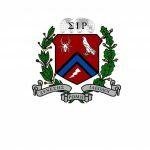 Sigma Iota Rho is an interdisciplinary honor society in the field of international affairs. Membership benefits include the S.I.R. Membership Certificate, an S.I.R. lapel pin, graduation regalia, and a copy of S.I.R.’s Journal of International Relations. The society also disseminates occasional newsletters, help students access professional networks, and provide career development information. Have attained a junior standing and completed at least twenty-one (21) hours of course work toward the International Relations major, including at least two upper division IR courses. Have attained a cumulative grade point average of 3.4 or higher in all courses and no B- or lower grade(s) in Upper Division IR courses.